CHICAGO - Killer hit musical returns to razzle dazzle again! A nightclub singer, a double-murderess, a smooth-talking lawyer and a cell block of sin surrounded by the razzle dazzle of the world’s sexiest musical soon returns to the Teatro stage! 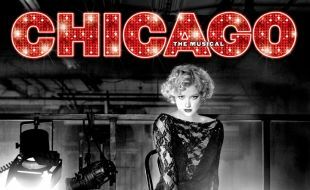 YOU’VE GOT IT COMIN’ as the story of the award-winning Broadway and West End musical CHICAGO unfolds to show-stopping songs including ‘All that Jazz’, ‘Cell Block Tango’ and ‘Mister Cellophane’. The multi-talented all-South African touring cast, band and crew began rehearsals in Johannesburg in August 2018 ahead of an international year-long tour that began in New Zealand. First stop was Auckland, followed by Wellington where audiences were dazzled and critics raved. In October the show moved to China, opening at the Grand Theatre in Chongqing. Three more engagements followed in October before opening in Beijing in November; Guangzhou in December and Shanghai in December 2018 and January 2019. The company returned to South Africa in January 2019, ahead of the South African leg of the tour in association with BBC First. After the South African season the SA International company will be touring Europe. Long may the standing ovations continue across continents as these musical ambassadors continue to proudly fly the South African flag high. CHICAGO continues to be one of the most successful international musical hits of all time. CHICAGO's international appeal stems from its enticing tale of murder, greed, corruption, violence, exploitation, adultery and treachery-characteristics the entire world is drawn to. “I know a WHOOPEE spot …."